If you are one of those guys who has experienced the irritation of a bad shave, then you don’t have to be told about the importance of finding a good electric shaver. Chances are you either cut the hairs incorrectly or you used a razor that just couldn’t get the job done. Instead of doing the trial and error thing until your face is raw, why not use this honest review to help you pick out a winner? Unfortunately, a lot of the product reviews out there are forgeries that do nothing more than try to promote the product, brand, or both. Meanwhile, you end up spending money on something that is not up to par, and you begin to distrust the information you receive from reviewers. I don’t blame you, which is why this review of the Panasonic ER-GB40-S will be as objective as possible – given, of course. If you are anything like me, you prefer to get a good shave from a quality product that is made by a reputable manufacturer. 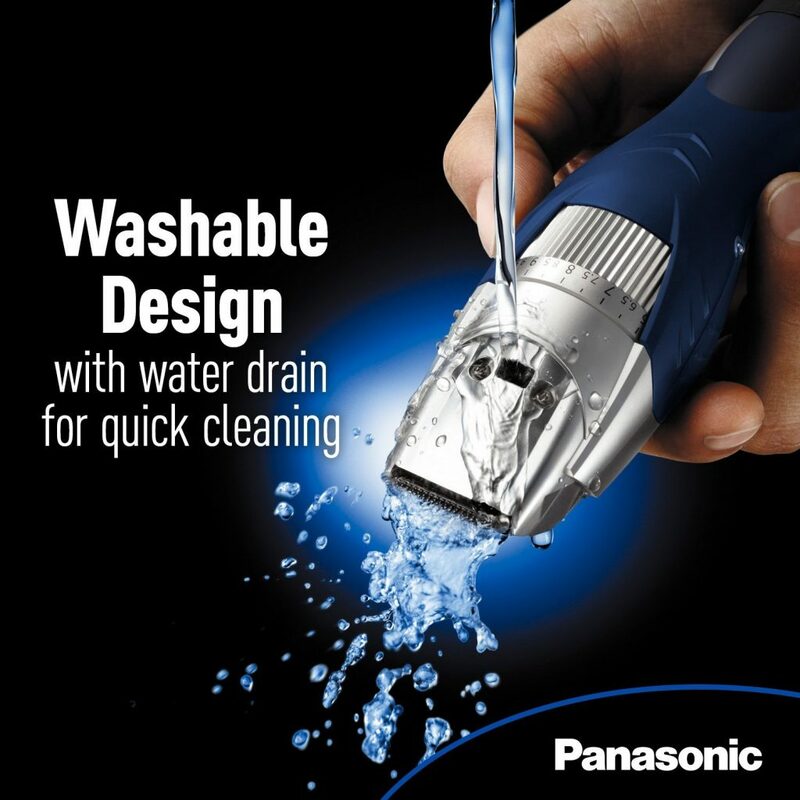 As far as I’m concerned, the Panasonic brand is and always has been one you can trust. I find that – often – I end up using a Panasonic device on my face just because their products are durable, affordable, and powerful. Apparently, the mold was not broken on this one. 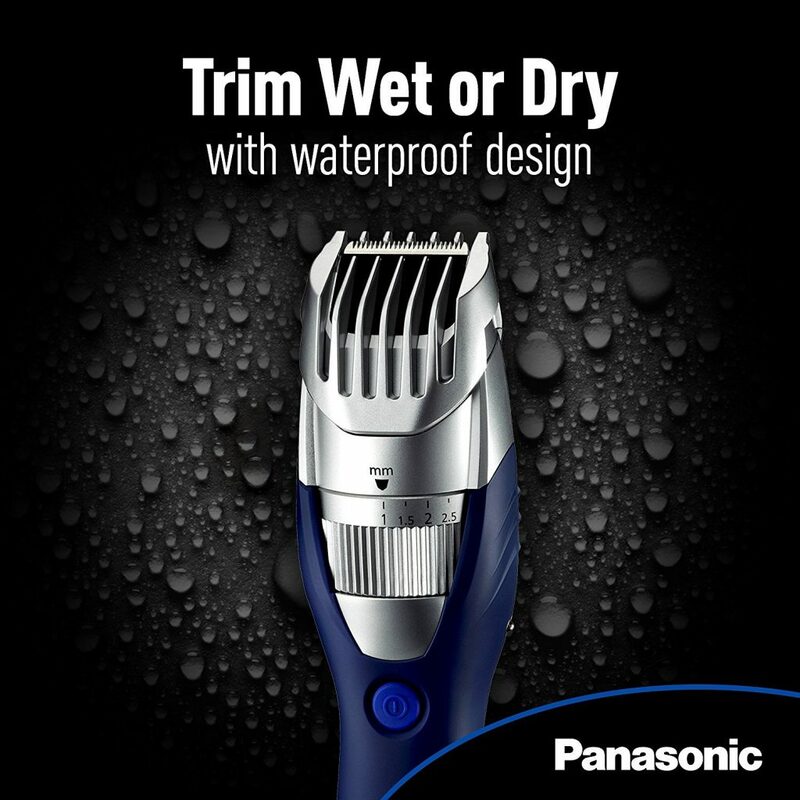 In fact, the Panasonic Milano All-in-One Trimmer, as it is sometimes called, is an award-winning machine. 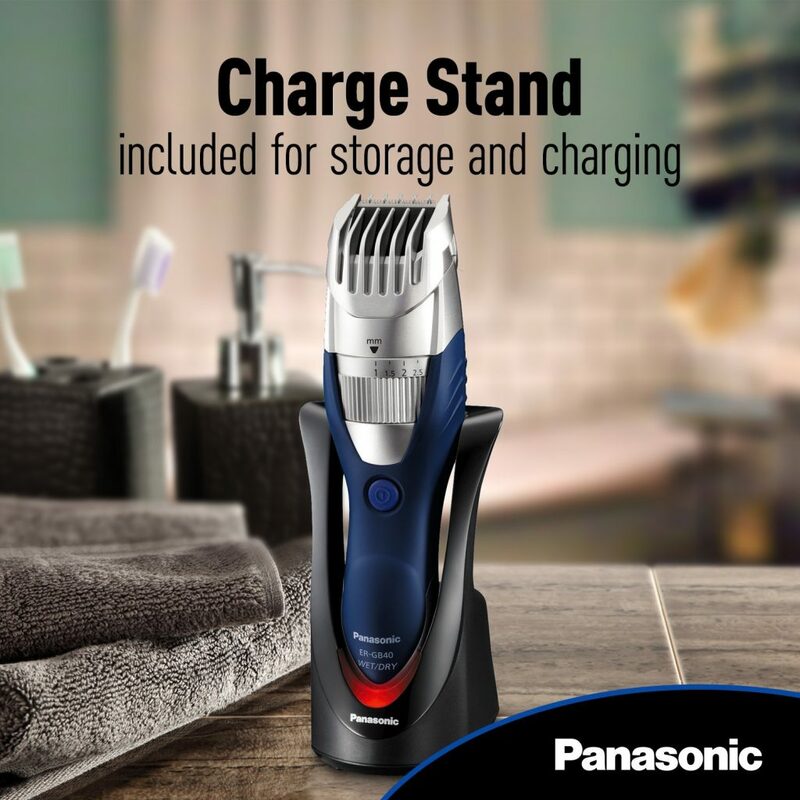 Using state-of-the-art technology and streamlined ergonomics, this device has earned its reputation as one of the best beard, mustaches, and body hair trimmers there is. Let’s look at the main features to see what makes it so unique, shall we? As advertised, the ER-GB40S is made to be used for both wet or dry shaves. It features several convenient, user-friendly options that promote a smoother and more luxurious cut with or without water, shaving cream, or aftershave. When used properly, it offers a tremendous amount of power while still delicately maneuvering around the contours of your face, chin, jawline, and neck. While each person is guaranteed to have a different experience, the main features of the Panasonic ER-GB40S are in line with a satisfactory outcome. Designed to cut closely and accurately along a man’s beard and mustache lines, the ER-GB40S uses extremely sharp stainless steel blades that are set at a comfortable 45-degree angle – the perfect pitch for a close and efficient trim. However, there is also a quick-adjust dial which offers a total of 19 other precision settings, so sculpting hair is exceptionally easy and customizable looks are simple to achieve. 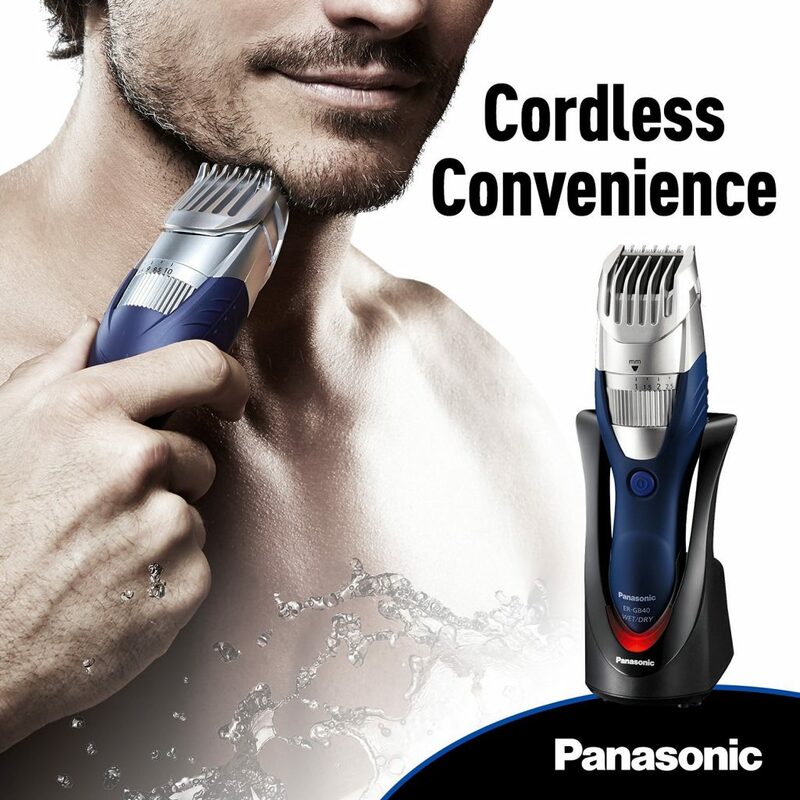 Moreover, the Panasonic Milano All-in-One Trimmer is exceptionally lightweight – weighing in at just over 12 ounces. Slim and sleek, it fits nicely in the hand to provide a slip-free grip using a rubberized material for superior performance. It is also cordless, which means it can be traveled with, and what’s more is that it’s fully submersible in water so you never need to worry about it becoming damaged on the road. This machine includes a commanding Ni-MH battery which takes only an hour to fully charge and offers nearly an hour of power. Despite the things listed above, the experience you have with your Panasonic ER-GB40S Trimmer is dependent solely on the way you use it. Clean it after every use by running it under water. Be sure to use the easy-open water drain and the whole process will only take you a few seconds. Place it on the charging dock immediately after you’re done using it to prevent the battery from becoming prematurely weak. Wash your face (with an exfoliant if possible) prior to putting in on your face to get the closest and most comfortable shave. Check the batteries and often to be sure they’re still working at an optimal level when fully charged. Be mindful of the condition of the blades and have them replaced at least once per year. 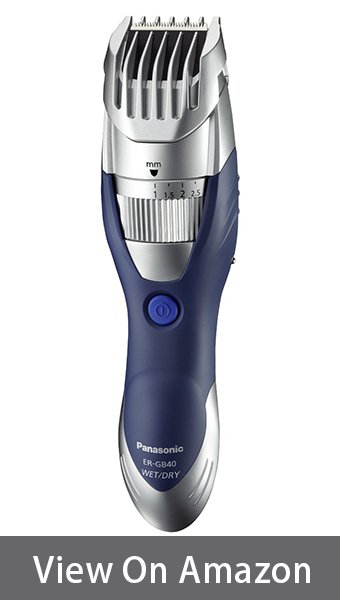 Overall, the Panasonic Milano All-in-One Beard and Mustache Trimmer is a remarkably well-made machine that is a great value for the money. While it might not be for everybody, it is a solid purchase for anyone who wants to have a dependable electric shaver at home or when they travel. Although it is not my favorite model on the market, it is good enough to have a spot in my bathroom as a “just in case” device. What is your favorite beard trimmer. I was going to get the Milano, became hesitant with your concluding comments. I have tried, seriously, 7+ trimmers…still looking. Would really appreciate your recommendations. I keep a short haired, full faced beard. I like it evenly cut and trimmed. Hope to hear from you asap. I am at a lost and getting frustrated with finding the best trimmer. I really like Philips Norelco BT7215/49 see on amazon http://amzn.to/2hBS9Le as it has exceptional precision and built-in vacuum is a life-saver feature. How often do you have to replace the blades?